Throughout the year, I occasionally participate in styled shoots with photographers and other wedding vendors. 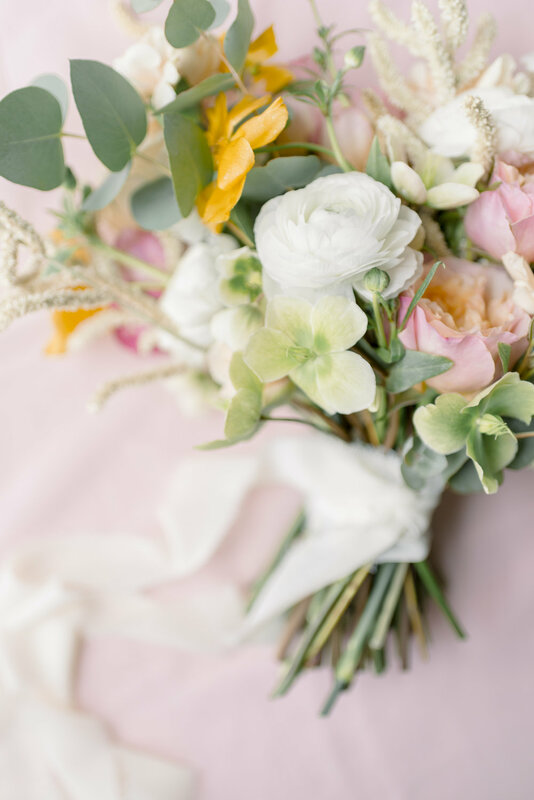 I like styled shoots for a few reasons: they let me work with flowers and color palettes that I might not be able to otherwise, they’re a nice way to connect with other local wedding vendors, and they help me flex creative muscles during my slower wedding season. 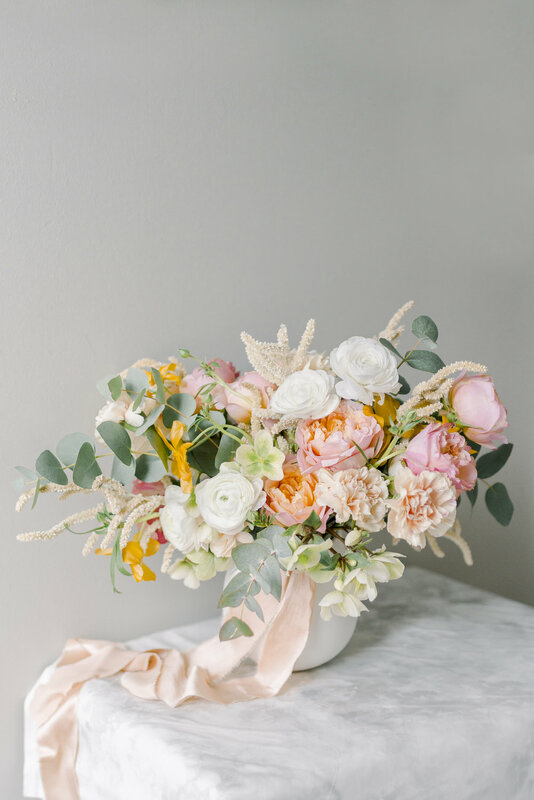 For this particular shoot that Sarah at Gracious Company organized, there were no rules or guidelines on florals. Which is awesome. Because then I get to work with what is exciting me and inspiring me at that moment in the season. 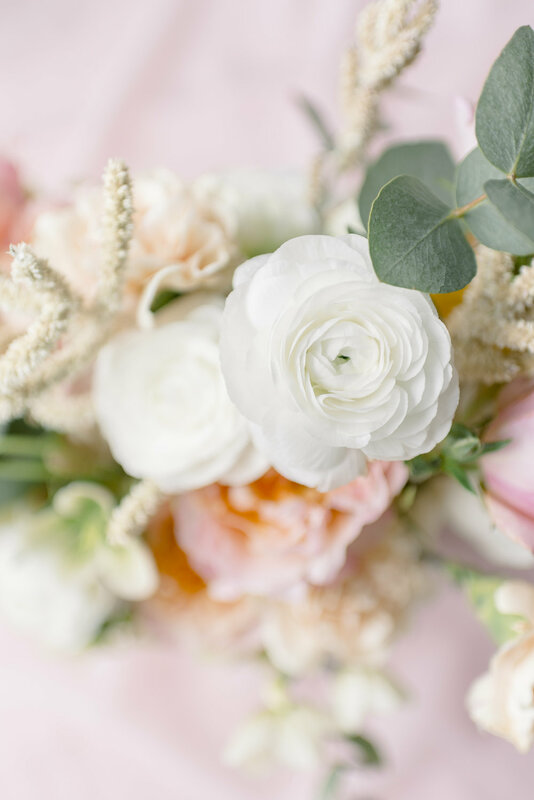 Over the last few years, I’ve discovered that designing with flowers for myself, without expectations, is great for my mental and creative health. 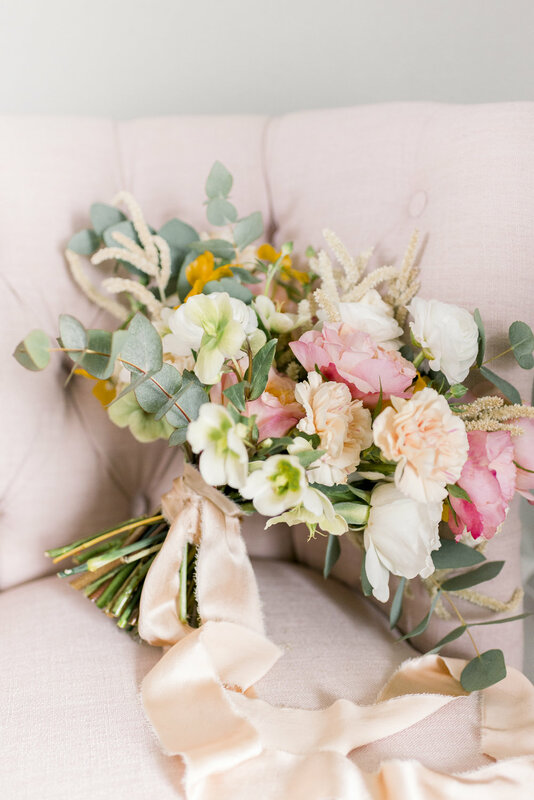 This was a smaller shoot where I provided a bouquet for the photographers. There were three photographers, and it was really fun to see the photos come back with three different styles. I like seeing my work through the lens of a photographer and how they compare and contrast with their styling and editing. 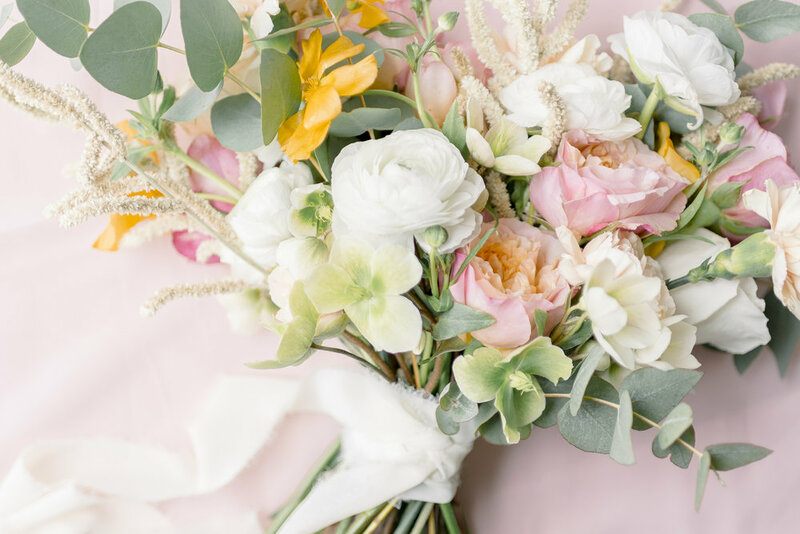 And in case you haven’t seen enough photos of this bouquet, ;) and are curious what the ingredients are, here’s a bouquet breakdown. 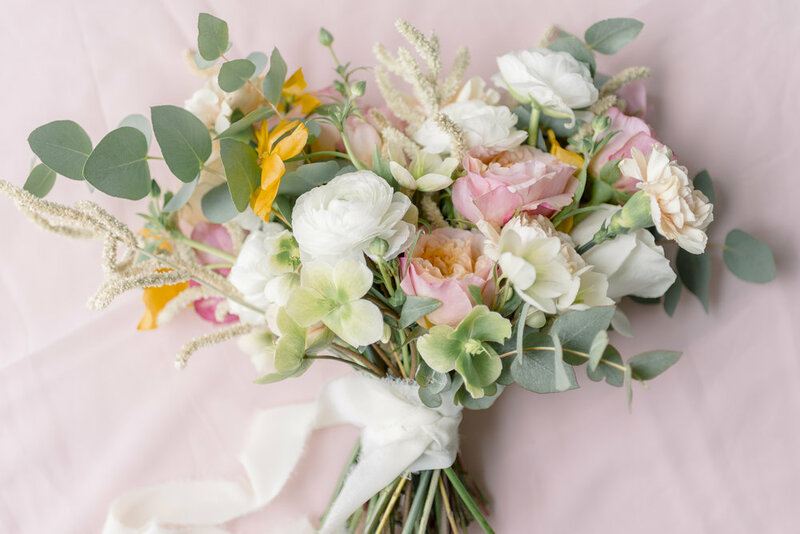 This sweet and cheery bouquet was filled with Edith garden roses, great neutral carnations, white and green hellebores, white ranunculus, orange butterfly ranunculus, bleached amaranth, and eucalyptus.